A worker walks past a Boeing 737 MAX 8 airplane being built for American Airlines at Boeing Co.’s Renton assembly plant, Wednesday, March 13, 2019, in Renton, Wash. 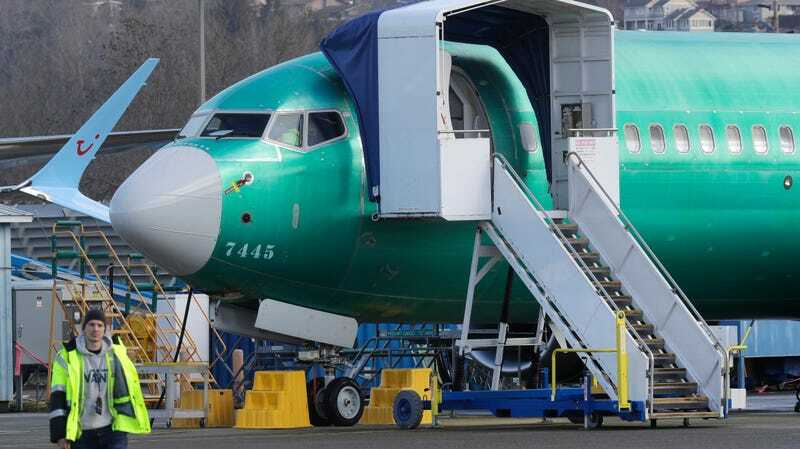 The Federal Aviation Administration grounded models in Boeing’s 737 Max series earlier this month following two separate deadly crashes involving the jets, and a number of changes to aircraft software and training procedures are expected as soon as this week. In the meantime, however, American Airlines said it is canceling roughly 90 flights a day through next month that would have required operation of the 737 Max aircraft in its fleet. “By proactively canceling these flights, we are able to provide better service to our customers with availability and rebooking options,” the company said in a statement on Sunday. American Airlines said cancellations were extended through April 24, and it is reaching out to its customers directly to alert them of changes to their planned flights. American Airlines said earlier this month that the FAA directive affected 24 of the 737 Max 8 jets in its fleet. The carrier is one of just a handful of airlines based in the U.S. that operate the aircraft. On Saturday, the Wall Street Journal reported that the FAA had “tentatively approved” a number of previously announced updates to both aircraft software as well training for pilots operating 737 Max jets. The updates will include changes to Boeing’s Maneuvering Characteristics Augmentation System (MCAS), an anti-stall system that is suspected to have been a factor in the deadly Lion Air crash last year. Which U.S. Airlines Operate the Boeing 737 Max-8?